Now in its seventh year, Rise offers year-round classes for children, teens and adults. On a recent afternoon at the Rise dance studio in Vineyard Haven, the voice of director Jil Matrisciano bounced off the studio walls. “Find your rib cage, find your strength, find your length,” she urged. She stopped the rehearsal and moved to one of the dancers. The dancers began going through the movements and by the third time, the girls were getting closer. Ms. Matrisciano is part coach, part choreographer and part role model, qualities she tries to instill in her dancers. She sets a high bar for the young artists and can be tough, but March means crunch time at the dance studio. The 39 company members have been preparing for the American Dance Awards regional competition in Springfield to be held this weekend, March 28 to 30. Now in its seventh year, Rise provides year-round classes for children, teens and adults. This is the company’s sixth competition and it is always a process getting the kids and parents in the mindset of what it takes to be an intensive dancer, Ms. Matrisciano said. A total of 31 pieces of choreography are going to competition this year, making it the company’s biggest year yet, Ms. Matrisciano said. Each new piece of choreography will run for two competition seasons. “They get to perform it the first season and then they really get to know it,” she said. The company travels to several competitions a year, which vary in emphasis. The American Dance Awards will focus more on the musicality and expression of the dance. The next competition, coming up in April, is called Turn It Up, and will focus more on technique and the height of a kick. Dancers range in age from 5 to 16. They will be competing in tap, jazz, contemporary, lyric, modern, character and an open category for either acrobatics or lyrical dance. The two five year olds competing will use shopping carts for a dance choreographed to Salt-N-Pepa’s Push It. Although they are heading to a competition, dance encompasses so much more, Ms. Matrisciano said. The first group of Rise dancers competed when they were six years old as astronauts to the Carpenters song On Top of the World. “To look at their progression from where they were and where they are now, my heart flutters when I think about what they’re going to be like at 15 or 16 years old because they’re that good at 10 or 11,” she said. Heart fluttering happens a lot for Ms. Matrisciano as she watches her girls turn into young women. Ms. Matrisciano hopes what they learn in the studio will serve them long after they leave her. “Even if they’re not going to be dancers in their life, they’re all going to be teachers in some way, shape or form, whether they’re mothers or teaching math or youth leaders or they’re dance teachers, they’re going to influence other people,” she said. Back in the studio, the dancers continued to run through the piece. It was late Saturday afternoon and Ms. Matrisciano was looking for more. 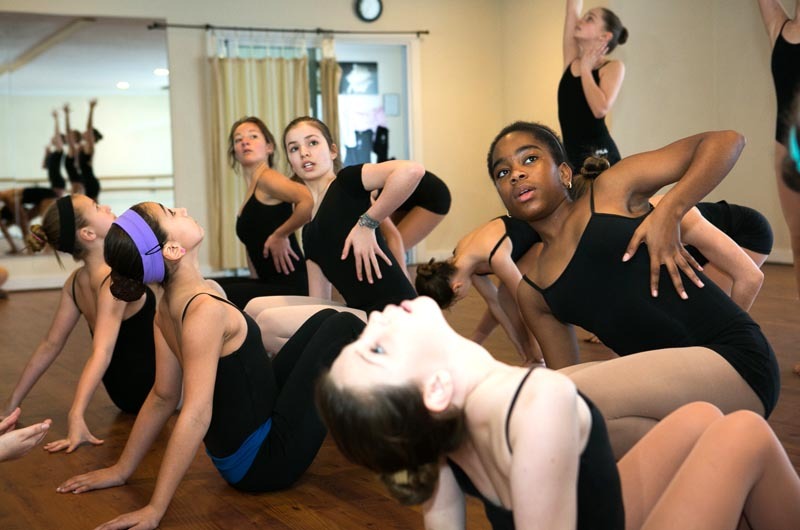 The Rise dance company will showcase all of the pieces performed at the competitions at their annual company showcase on April 6 at 4 p.m. at Dreamland in Oak Bluffs. What a great place/program for Island youth! My only concern is for the five year olds dancing to "Push It" by Salt-n-Peppa - is this really the most appropriate music for our young people to dance to? Dance is wonderful and I fully support it but I do take issue with the sexualization of young girls and boys as seen in many dance numbers. The Salt-n-Peppa song for this performance is cut and edited, with very few lyrics in it and not sexualized at all. It's a very cute, athletic, hip hop number. My daughter has been dancing at RISE since the studio opened and I've never seen anything inappropriate or even slightly questionable. Music is appropriate, the numbers are tastefully done, and the emphasis is on the dance and the skill. I understand your thought because people are exposed to a different side of things via reality tv etc. but that is not the experience at RISE. We are not all "dance moms" as portrayed on television and not all teachers - in fact probably very few - are Abbie Lee. Why not join the team for their showcase on April 6 to see for yourself.